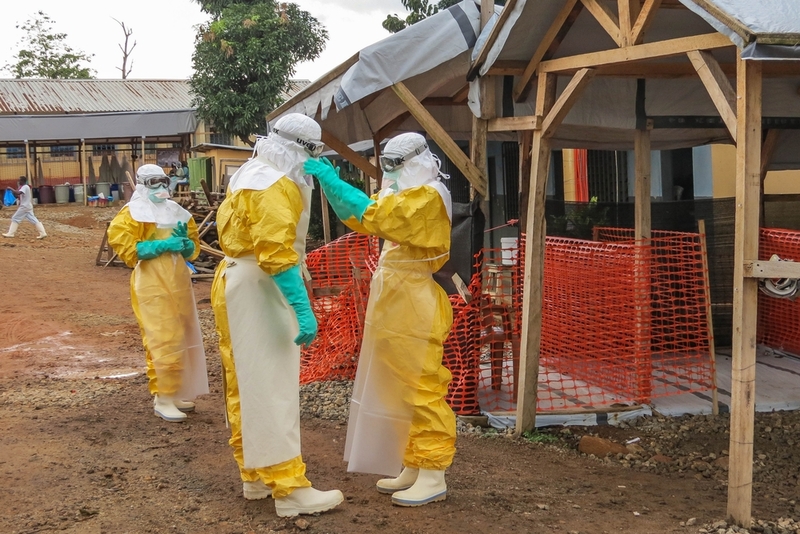 Although every experimental treatment for Ebola patients offers hope, MSF remains prudent. There’s no guarantee that the drug will be effective and safe, and even if it is, it will not mean the end of the epidemic which continues to spread in the three most affected countries of West Africa. The trial aims to include as many Ebola positive patients presenting at the MSF treatment centre in Guéckédou as possible. There will be no control group (group of patients who do not receive the treatment) in this study, as it is considered unethical to deny a group of patients the higher chance of survival that may come with the new treatment, especially given the high mortality of Ebola. Instead the outcomes of the patients will be measured against those of MSF patients admitted earlier this year, before the trial began. The first conclusive results are not expected before the first trimester of 2015. Interventions like early admission of patients in specialized centres, thorough and accurate contact tracing, tailored health promotion as well as hygiene and sanitation measures will continue to be the most important strategies in ending the outbreak. Research into other treatments including vaccines and new diagnostics will also remain important.